Welcome to my Blog - The place for all the "Juice!" I created this site and blog because I wanted to share with everyone all the information that I know as it relates to juicing, and the benefits that I have personally seen from this. Having turned the Big 40 (…I know, I know, I don’t look it! ), I keep striving to find ways to defy Mother Nature and Father Time, and make sure I am doing my part to feel as good as I can feel, look as good as I can look, and quite frankly - simply be as healthy as I can be from the inside out. After being a HUGE fan of a purely animal based lifestyle for many years, which did manage to get me in good shape and keep my weight down, a recent trip to my Primary Care Doctor revealed some Lab Results that surprised me, considering the healthy lifestyle that I thought I was living. My labs were high, especially as it related to my cholesterol numbers. The bottom line is that I started to question the simple “All Protein - No Carbs” mentality that I had. By juicing everyday, I have been able to completely eliminate dairy (mainly cheese) from my diet, and I have cut down on the animal protein that I eat tremendously. This was all possible because for the first time in my life, my body was being NOURISHED properly and on a daily basis from juicing the veggies. 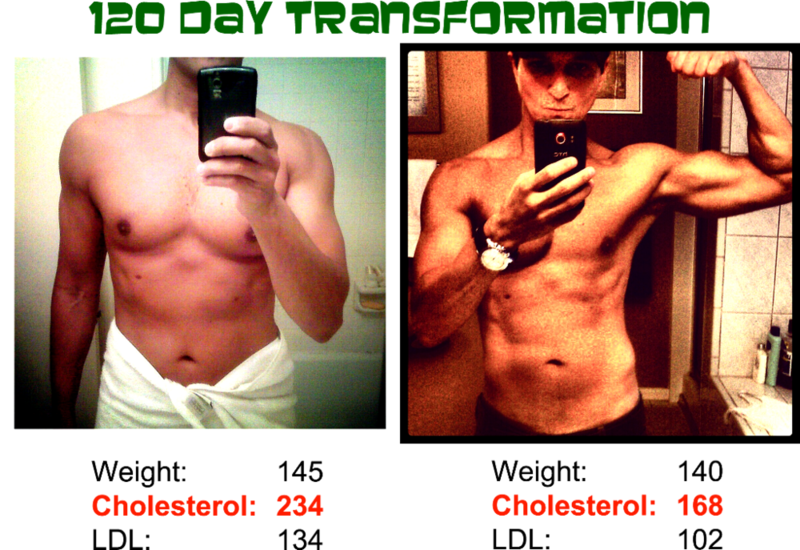 This is what allowed me to transform myself, from the inside out, in 120 days. My cholesterol came down 66 points, and my bad cholesterol (LDL) dropped 32 points! During the process, I lost 5 pounds without even trying, and overall I feel the best I have ever felt. In summary, please let me know if there is anything I can do to help you get started on becoming an Everyday Juicer like me!